The Digital Research Library of Illinois History Journal™: Lyon and Healy Factory, Chicago, Illinois. Known for their harps, they have also at times made guitars, banjos, pianos, and other musical instruments. 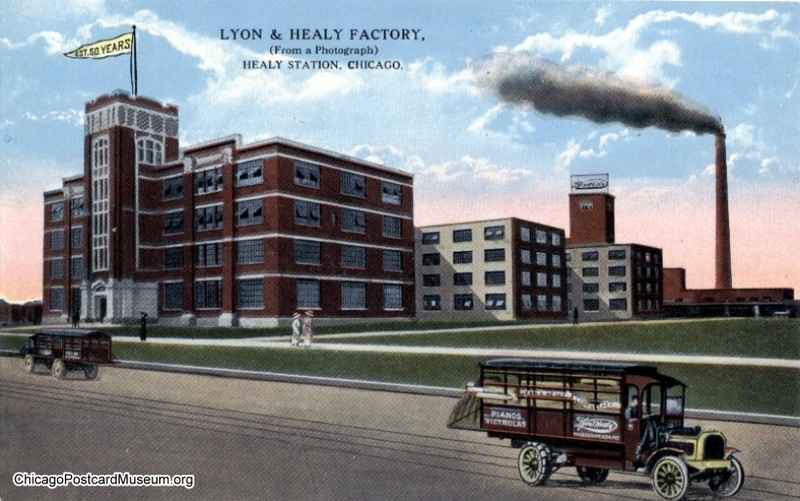 In 1913, the factory depicted on the postcard was opened (designed by Hyland and Green). Located on Fullerton just west of Pulaski (then Crawford), along the Milwaukee Road line, the factory included a station along the railroad named after the complex; the station is still called Healy to this day. The Lyon and Healy factory on Fullerton did not remain in operation for long; by the 1930s, it was home to the Mills Novelty Company, a noted coin-operated machine manufacturer. The usual model of industrial deconcentration would suggest that the company would have closed their original factory on the Near West Side and made the Fullerton location their main operation. 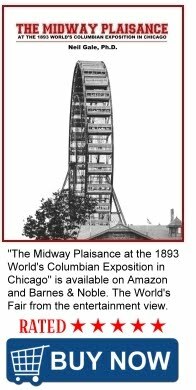 In actuality, the Fullerton operation did not last twenty years, and the firm’s 100+ year old Near West Side factory at 168 North Ogden Avenue in Chicago, still remains in operation to this day!